The coming of the New Year means many things, including making resolutions, starting a new tax year, and new rates for Medicare premiums and deductibles, as announced by the federal government. Medicare benefits help many people cover the costs of long-term care and other medical treatment. However, these benefits do not always come without out-of-pocket costs, as there is a standard deductible for both Medicare A and B, as well as coinsurance for Part A beneficiaries and set premiums for Part B beneficiaries. Deviations from the standard premiums are based on income and whether a beneficiary files a single tax return, joint tax return, or married but separate tax return. 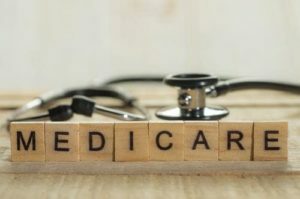 Medicare Part A only covers up to 90 days of hospitalization, however, beneficiaries have 60 reserve days they can use over their lifetime (“lifetime reserve days”) for which they will pay a daily coinsurance of $682 in 2019. Note that some people also must pay premiums if they did not work enough to gain coverage credits. As you can see, Medicare coverage can be costly, especially if you report higher income on your tax returns. It is critical to plan ahead to cover the costs of long-term care or medical treatment without depleting your life savings. For more information about your options, call the New York elder care lawyers at Goldfarb Abrandt Salzman & Kutzin LLP at (212) 387-8400 or contact us online.